A piece of paper was the only thing that decided whether the story of Kushal Pal Singh would be written in golden words or not. The man himself recalls the very instance when he was offered Rs 26 lakh for his share in DLF. It was then, when he questioned his decision and decided to not let go of what he had. The success of Kushal Pal Singh, the CEO of DLF is the perfect example of thinking twice before taking a step. 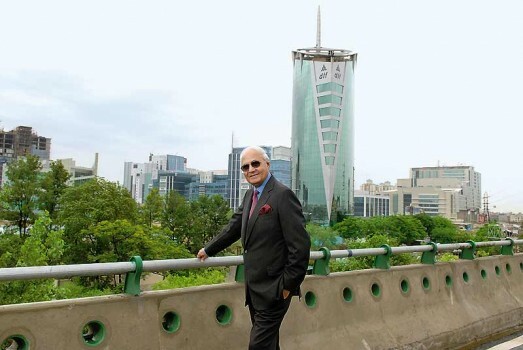 He was always a man of big dreams and wanted to change the landscape of Gurgaon, the city that is now a corporate hub and houses multinationals, startups and billions of residents. Early in his life, he once met Rajiv Gandhi, when the soon to become Prime Minister’s car broke down midway. A small conversation between the two included a question from Rajiv Gandhi to Pal. Gandhi enquired what the man was doing in the middle of an open land. “I am dreaming, dreaming of a new city,” was the answer. With a charisma and the strength to take bold decisions, the CEO of DLF ventured and took the first steps towards his goal. Slowly, he transformed Gurgaon and made it the epicenter for trade and commerce in Northern India. The man who is now known as the one who transformed a barren landscape into one of the most valued places, was once a soldier fighting for the nation. Though this might come as surprise, Kushal Pal Singh was an Indian army officer, commissioned into the 9th Deccan Horse Cavalry Regiment. Born on November 15, 1931 in Bulandshahar, Uttar Pradesh, he graduated in Science from Meerut College, Uttar Pradesh. He moved to UK after his graduation to pursue Aeronautical Engineering, after which he was selected in the army. The iconic real estate company happened in his life when he was working with American Universal Electric Company and it merged with DLF. This is when he took over as the Managing Director of DLF along with Chaudhary Raghuvender Singh. The real estate business tycoon is married to Indira Singh. He is a father to three children, one son, Rajiv Singh and two daughters, Renuka and Pia Singh. Managing his business further, Rajiv Singh is the vice chairman of the DLF group. Rajiv Singh’s wife, Kavita is the advisor to DLF Commercial Developers Ltd and DLF Universal Ltd. the couple has two daughters working for DLF. While Renuka Singh is married to the non-executive director of DLF, G S Parmar, K P Singh’s younger daughter Pia Singh working as a full-time director for DLF.